SNAFU! : Morality Play. These are the anti-gun protesters? No wonder they keep losing! Morality Play. 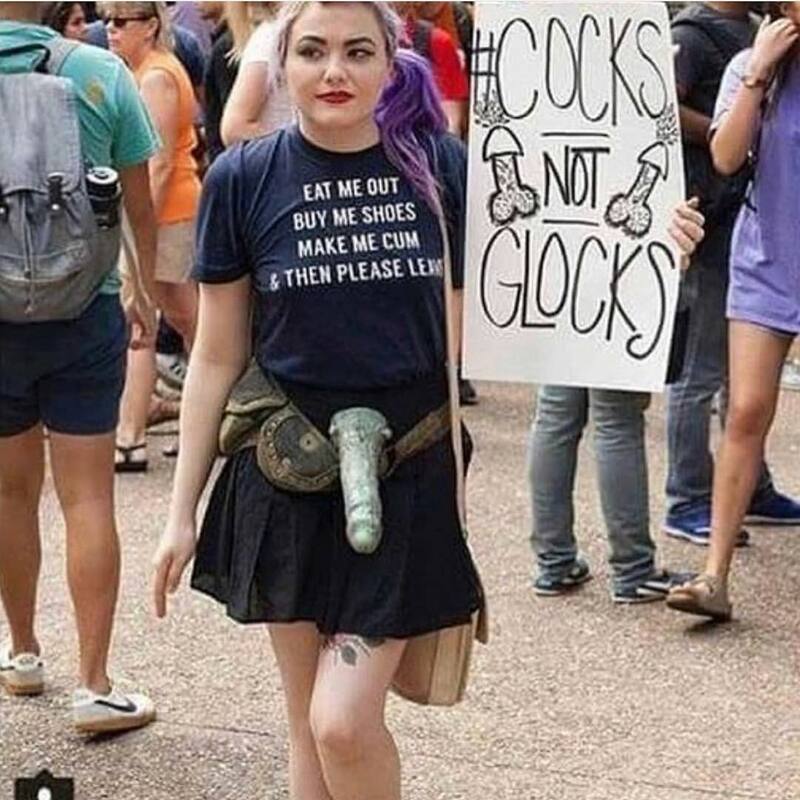 These are the anti-gun protesters? No wonder they keep losing! Hat Tip to Harden Up Instagram! I've always wondered about how protests are covered in the US and now its apparent that we're getting sanitized views of it all. This doesn't change my mind about anything but it does make me more aware. I've had a chance to see the dark side of things from the gay rights parades and more arrests could be made for public indecency than jail space allows and apparently it applies across the board. Depends on your value system, upbringing and I imagine racial/social demographic. But it still doesn't excuse the above. Hold true to your personal values but be aware of the those that travel the same lane that you do.